Please be advised that the Midlands State University 2016 graduation ceremony will be held on Friday the 25th of November 2016 at the Main Campus. Graduands and Guests are required to be seated by 0900 hours. Outstanding Fees: Please note that only graduands whose fees are paid in full will be allowed to attend the ceremony. The deadline for payment is the 20th of November 2016. 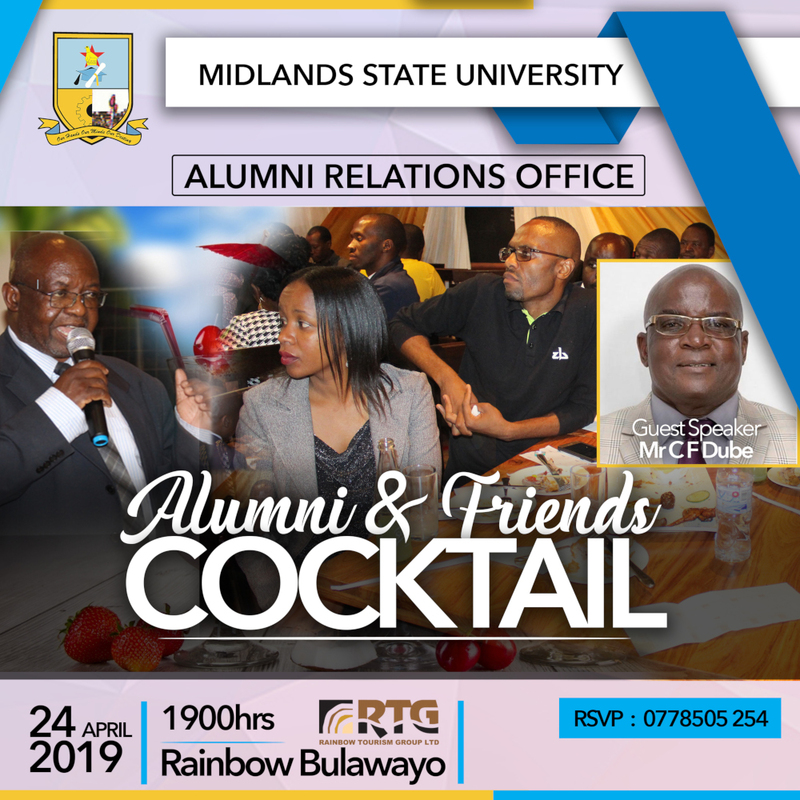 Graduation Fee is $60: Payment can be made through the following MSU student accounts: CBZ Bank 01820772520046, ZB Bank 4575 486039 200 using transaction code 102. You can pay online using Ecocash. Visit your e-learning account for instant online payments using Ecocash or visit www.msu.ac.zw/ecocash. Graduands in the Faculties of Commerce and Natural Resources Management and Agriculture will purchase their academic regalia from Academic Regalia Investments: Tel: 0772 806 674, 0772 806 698. Midlands State University-1 Kwame Nkrumah Avenue. Midlands State University- Main Campus. Midlands State University- Zvishavane Campus. Graduands in the Faculties of Science and Technology and Social Sciences and Law will purchase their academic regalia from Mutare Garments:Tel: 086 441 40442 086 441 40440 0r 0773 212 668, 0773 753 250. MSU Harare Campus, 1 Kwame Nkrumah Avenue, Harare. Rehearsals will be held on Thursday the 24th of November 2016 at the main Campus starting at 1400hrs. All graduands are required to attend the rehearsals in order to participate in the ceremony. MSU Checkpoint: All graduands and their guests will pass through a checkpoint where their admission cards will be checked. Only two persons per graduand holding an admission card will be allowed into the graduation arena and ONLY these TWO would be entitled to seats. Admission cards will be available for collection from the respective Faculty administrators from 1400 hours on Thursday the 24th of November 2016. Temporary Road Closure: Please be advised that Town-Senga Route will be closed after 0900 hours and all guests and graduands will have to use the Fletcher –MSU route. In addition, please be advised that on the graduation day academic regalia and invitation cards will only be obtainable from the Hellenics Hall in town. Food and Refreshments: Food will be provided to graduands and their two guests. For more information, please contact the information and Public Relations Office on 054 260568/260632/260596/260416/260404 Ext 2111, 2415, 2109 or directly on 054-260359. Alternatively students can log on the website: www.msu.ac.zw or visit our facebook page.